The TV listings, courtesy of the Radio Times have revealed the air date and time for Series 7 Episode 2. 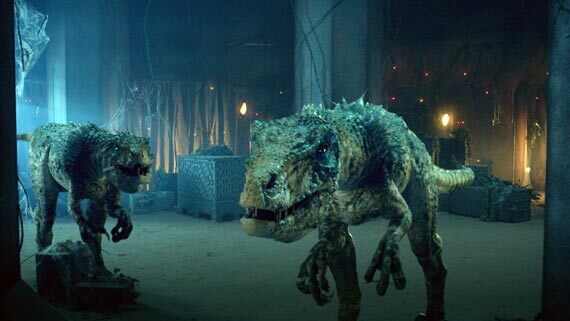 'Dinosaurs on a Spaceship' will broadcast in the UK on BBC One and BBC One HD at 7:35pm on Saturday 8th September 2012. 2/14. The Time Lord comes across an unmanned spaceship hurtling toward certain destruction, and it seems only he can save the vessel and its surprising cargo of dinosaurs. He is joined by a ragtag gang of adventurers including a big-game hunter and an Egyptian queen - but little do they know there is someone else on board who will stop at nothing to capture the precious, prehistoric creatures. Matt Smith stars, with Sunetra Sarker (Casualty), Rupert Graves (Sherlock), and Mark Williams and David Bradley (both from the Harry Potter films). The Episode should also broadcast on BBC America at 9pm the same day.